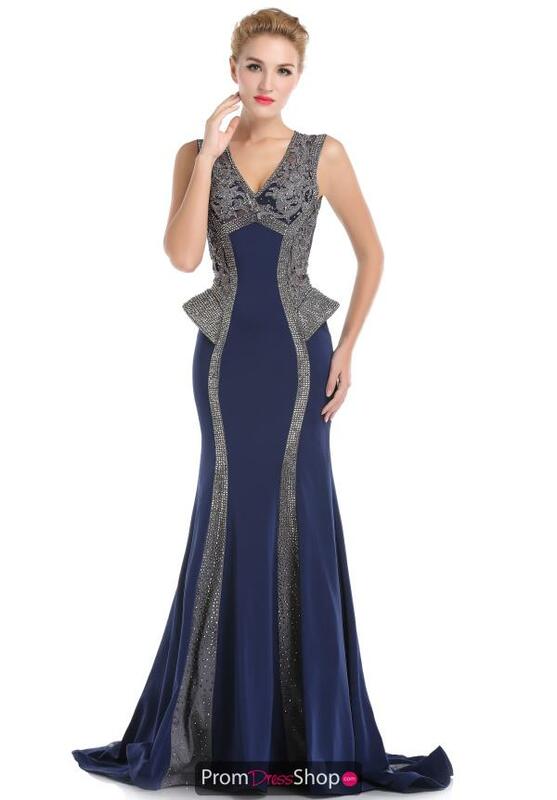 This sophisticated prom dress RD1525 from Romance Couture has a V neckline and flattering style panels throughout. The gunmetal colored bead work is absolutely gorgeous as it embellishes the bodice, the peplum sides and down the skirt for an ultimate flattering ensemble. See more Romance Couture dresses at Prom Dress Shop today. This dress does not have illusion sleeves as photographed.